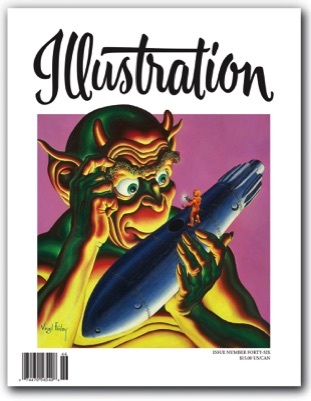 In this issue: Author R. Gary Land investigates the art of A.B. Frost in an extensive feature on this important illustrator; Robert Garcia talks about his new book on Virgil Finlay, and gives us a sneak peek at some of the incredible art that will be featured within; Lynn Munroe profiles paperback illustrator Tom Miller (including a checklist of his published covers); and finally, Daniel Zimmer writes about the life and art of William Meade Prince, a top illustrator from the end of the Golden Age who cut his career short by taking his own life. Book reviews, exhibitions and events, and more round out the issue. 80 pages. $15.00 U.S.